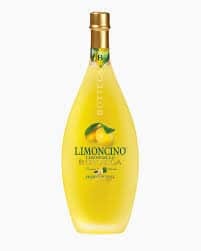 Limoncino Bottega is a “limoncello”, traditional Italian liqueur, dating back to the end of the nineteenth century. 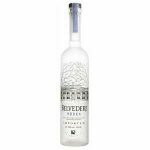 It is produced from an infusion of “Femminello” lemon peel. This cultivar which is widespread in Italy and characterised by a peel with a thin grain and high quality essential oils. This variety of lemon is called “Femminello” because of the fertility of the plant, which flowers all year round. The lemons are grown naturally and picked at the peak of ripeness, washed and peeled by hand, removing the white part (bitter) and only selecting the yellow peel which is rich in essential oils. The lemon peels are infused in alcohol for about 30 days. This allows the extraction of the aromatic and colouring substances. The liquid is then separated from the peel. Finally, sugar and high quality grappa is added, making this Limoncino unique and unmistakable. Intense aroma of ripe lemons. Sweet, full, juicy with a slightly citrus fragrance.